Today, I’m sharing with you one of my favorite cupcake recipes. 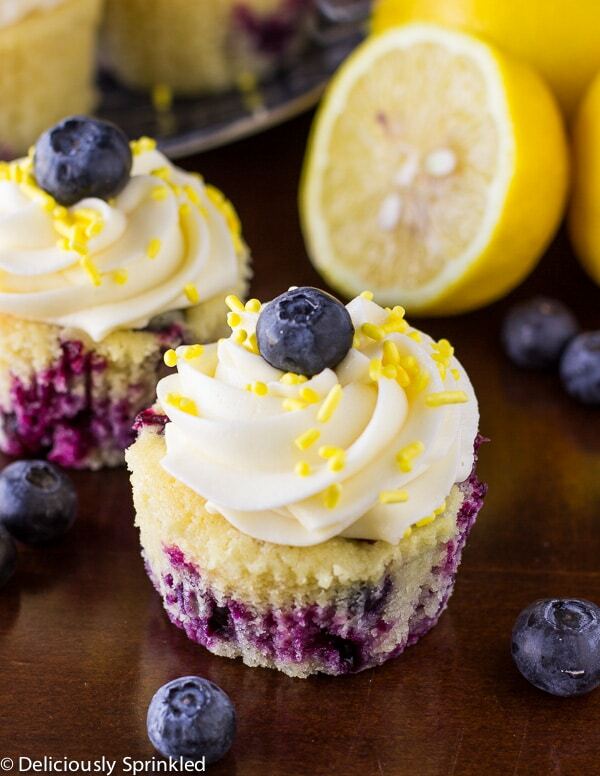 These Lemon Blueberry Cupcakes are bursting with vanilla, fresh blueberries and a hint of lemon. Piled high with a delicious lemon buttercream frosting and of course, it wouldn’t be a cupcake without SPRINKLES! With spring in full swing and summer just around the corner, these cupcakes just scream warm weather and outdoor parties. Their so delicious and refreshing that every time I make these Lemon Blueberry Cupcakes for a party, they are always the first thing to go. ✔ Don’t OVERMIX the batter. This will cause the cupcakes to be rather chewy instead of perfectly moist. You just want to mix until JUST combined, meaning that you should still seem some flour in the bowl. ✔ It’s so important to bake these cupcakes at the proper temperature. Preheat your oven to the correct temperature BEFORE you put your cupcakes in the oven. If you don’t have an oven thermometer, I would HIGHLY recommend getting one, it will help you make sure your oven is set to the right temperature. ✔ For the lemon buttercream frosting, I recommend using heavy whipping cream because it gives the frosting that thick, creamy, texture that everyone loves on top of a cupcake. And don’t forget the SPRINKLES, because it’s not a cupcake without them! 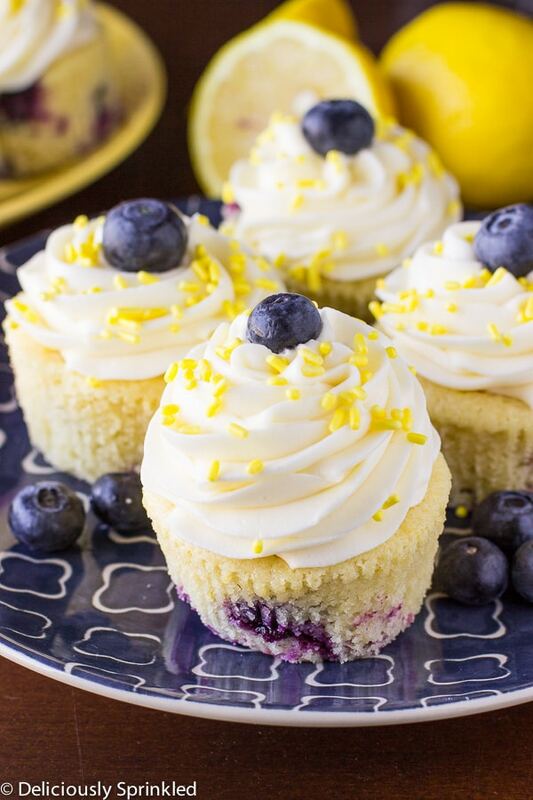 These lemon blueberry cupcakes surely scream spring. I love both lemon and blueberry that’s why I’m definitely loving these cupcakes. And your frosting is so delightful. These look so moist and fluffy, Jenn! I totally wish I had some right now! Oh snap! These look amazing. I want to swipe my finger through that fluffy frosting.